What do sheep and carpet have in common? Quite a lot! I’ll give you the lowdown on all things carpet, and soon you’ll be ready to educate your friends on carpet tiles , rolls, area rugs, and sheep like you’re a pro. Carpet still ranks as one of the best sellers in flooring. Though other floors are creeping up on its turf, carpet has been holding its own for ages. You probably already know this because you’re here to buy carpet. It’s plush, lush, and oh so comfortable. Though you know you want carpet, the choices can be a little overwhelming. Tiles, broadloom, and area rugs can be tough to navigate. There’s a whole different language when talking about carpet! Perhaps you're looking for guidance along the lines of "how to buy carpet?" No worries, I’m here to help. Consider this your definitive "how to buy carpet" guide. Alright, let’s get down to business. There are many carpet choices. You can buy broadloom carpet, carpet tiles, and area rugs. You can also find carpet for your gym, home theater, and outdoor space. There’s basically a carpet option for every place in your home. Broadloom carpet, or carpet rolls, are wall-to-wall carpets. The name “broadloom” means it’s created in large portions that are typically cut to the size of the room for installations. Broadloom carpet is cheaper by the foot than any other type of carpet, but you will have excess leftover after cutting the carpet to the correct size. It can be difficult to install and usually requires experience and renting or buying special machinery. There are two ways to install broadloom carpet: stretch-in and adhesive. Stretch-in tends to be the most common installation method, but they both require special equipment. Seam carpet together using melt tape or another adhesive. Stretch carpet into place using a power stretcher or knee kicker. Attach carpet to wall tracks to secure it. With this installation, the carpet is glued to the floor. You must also have a knee kicker or a stretcher in order to ensure a smooth carpet, free from air bubbles. Lay carpet from the center and work outwards from both directions to prevent air bubbles. Roll carpet with a 75 lb. roller in both directions if directed by the manufacturer. 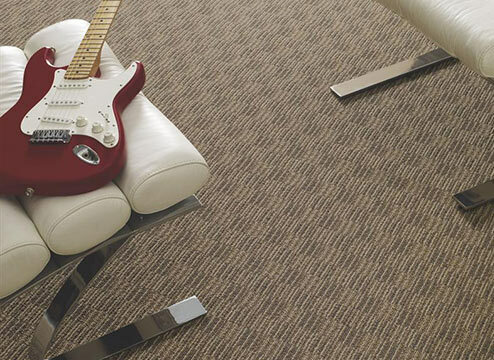 Seamless Appearance: Broadloom carpet offers a continuous and seamless look in any room, making the room look larger. 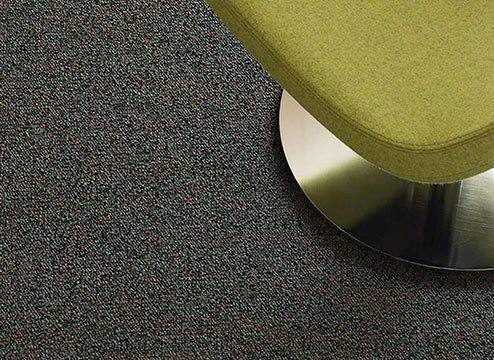 Options: Broadloom comes in different pile types and even patterns. The options are practically limitless. Soft: Broadloom carpet is also thicker and plusher than other carpet types. It is the softest carpet in the market. Difficult Installation: Broadloom really requires a professional for installation. This adds cost to your budget. Cleaning: Though carpet is often stain-resistant, it is not resistant to average soiling. That means you’ll probably have to break out the vacuum once a week to keep it clean. Replacement: With broadloom, if a portion does get badly damaged due to kids or traffic it’s not easy to replace a spot. You might have to replace the whole carpet. Carpet tiles are fairly new to homes. You’ve probably seen them in the office, or while out shopping, but their popularity in the home is rising. For good reason, too! There’s a lot of appeal to carpet tiles: first, they’re a DIY dream. They’re so easy to install, a child could probably do it. There’s also more than one way to install carpet tiles, which gives you more choice in the matter, and more choices are great! Not only that, carpet tiles come in just as many colors as broadloom carpet, though berber style carpet tiles are the most popular. 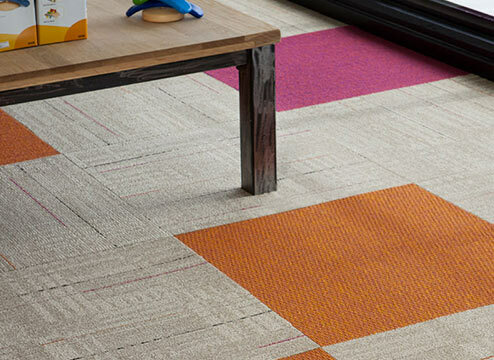 Install carpet tiles 1 of 3 ways: interlocking, self-adhesive, or glue-free. The easiest installation is the self-adhesive, or peel and stick, method. Use glue-free methods to make area rugs and interlocking tiles in basements or for temporary gym flooring. Interlocking carpet tiles look one of two ways: like a giant puzzle piece, or with plastic attachments on the sides to click into one another. Join together carpet tiles by first carefully laying them out and then locking them together like a puzzle. If the tile doesn’t have a finished edge, simply cut the tile to create one. Peel and stick tiles are the easiest to install. Pull off the plastic sheet to expose already applied adhesive. Place tiles on the floor and press down to adhere it. Some adhesives leave a residue on the subfloor, but some do not. An easy test is to place your hand on the adhesive. If your hand is sticky after, it will leave a residue that can easily be cleaned up if needed. To install glue free tiles, purchase double sided carpet tape or a pressure adhesive for a more permanent hold. Adhere individual tiles using the tape method for a custom-made area rug. For a room with high-traffic, installation requires a pressure sensitive adhesive, or glue, to keep the tiles in place. 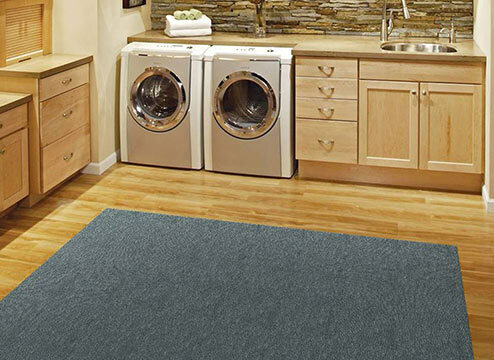 Easy Install: Carpet tiles are very easy and are installed in a matter of hours. There are also fewer extra costs for installation. Customize It: With tiles, you can create custom patterns and textures using different colors or simply rotating the tile. Your floor can really be custom! Easy Replacement: Tile is also super easy to replace. If a tile is badly damaged due to kids or traffic, simply lift it out and replace it with a new tile. Good as new. Not as Plush: Carpet tiles are not as plush as broadloom carpet because they aren’t as thick. Fewer Options: Carpet tiles also are mostly found in loop piles. Because they began as a commercial trend, you’ll probably find less options that feature plush cut piles. More Up-Front Cost: Carpet tiles are more expensive than broadloom carpet. However, you may end up saving money by being able to install it yourself. Area rugs have always been popular. Recently there’s been a surge in popularity of using area rugs in all areas of your home. Sometimes hard flooring surfaces can be cold and uncomfortable for achy joints. There’s a reason you count jumping sheep and not jumping rocks to relax at night. Luckily a simple rug in your living room, bedroom, and even your kitchen can add warmth and comfort to your home without the need to install wall-to-wall carpeting. Looking to add some style? Area rugs are perfect for that. They come in different shapes, sizes, colors, and styles to add the perfect finishing touch to any room. Time to keep it simple: just roll it out! Area rugs don’t require much labor when it comes to installation. Often times it’s just a matter of purchasing the rug and deciding how to place it. I do have some extra installation tips, though. 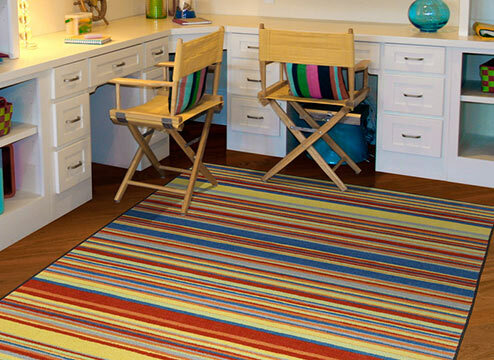 Carpet Tiles: You can easily make an area rug using glue-free carpet tiles. Just attach carpet tiles together using carpet tape and secure it to the floor to prevent it from sliding around. Rug Mats: Some area rugs come with a non-slip mat already attached to the back, but if yours doesn’t, it’s an easy purchase. You can even use non-slip shelf liners! Size: The number one mistake a customer makes when purchasing an area rug is they buy the wrong size. Make sure your area rug is the perfect size by taking some measurements first. Keep in mind a too-small area rug makes your room look smaller. Very Trendy: Currently, area rugs are very on-trend. The truth is, they’ve always been popular, but they’re more popular than ever right now. That might be from the growth of using hard flooring throughout the house. Warm House: Area rugs are perfect for warming up a house with cold surfaces. In the winter, it’s nice to place your feet on a comfy area rug next to your bed and not an ice block. Easy Care: They’re also easy to install and easy to clean. Some rugs are machine washable, and you can always take them to be professionally cleaned in an emergency. When you rearrange a room, just place the rug in the new spot. Easy peasy. Expense: Area rugs can be expensive to buy. However, it’s important to think of them like an important investment to your living space rather than simple decor. Sizing: Most people buy the wrong size area rug for their space. Don’t make this mistake! A wrong sized area rug can make a room look smaller and awkward. A good rule is that the front part of your furniture should at least touch the edge of your rug. Lucky for you there are many types of carpet. Some, you might haven’t considered! You can now buy carpet for home gym flooring, outdoor carpet, and home theater carpet for all your specialty needs. We usually don’t think about putting carpet outside, but with today’s technology, you definitely can! 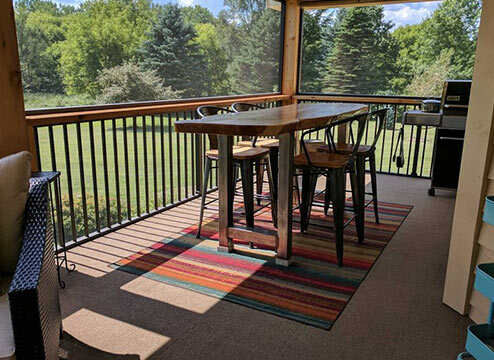 From tiles and rolls to outdoor rugs, you can make balconies, sunrooms, and even decks have your personal style. These carpets are usually solution dyed or UV treated, so they won’t fade in the sunlight. Plus, like most carpet (and sheep), they’re mold, mildew, and stain resistant. Interlocking carpet tiles make great temporary gym flooring! Maybe you want something you can put together and take apart to do stretching, yoga, and light exercises. You can also install carpet tiles in a whole room for a durable gym floor for machines and light floor routines. You wouldn’t want to drop a barbell on it, but it would be great for the average exerciser. 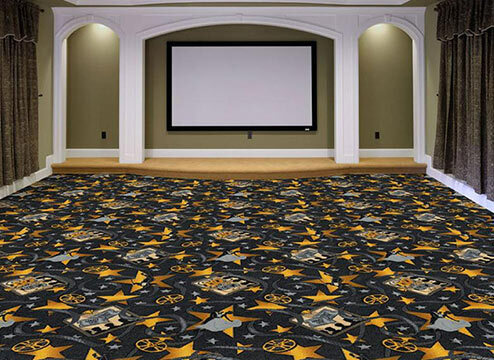 All of our home theater carpet is commercially graded, which means it’ll hold up to just about anything and clean up easy too! You definitely want carpet in your home theater to absorb all the delicious sounds and have a great movie watching experience. There are a lot of benefits to carpet that many don’t think about. When we think about carpet, we often think about how soft, warm, and comfortable it is without thinking of much else. Well, I’m here to change that. Let’s look at some of the more important features of carpet. Shock Absorption: Have you ever had to stand on tile for a long amount of time? Your feet will start to hurt. This is because walking on a hard surface is difficult for your bones and joints. Carpet absorbs the shock of your steps, which means your feet will thank you. Heat Loss: Hard surfaces tend to be cooler than carpet. This is great if you live in a hot climate all year around, but if it ever gets chilly or downright freezing in your home, you’ll definitely miss carpet. That’s because carpet holds in heat, making your house warmer during the winter months. This also means you’ll spend less heating your house, which saves you money. Sound Reduction: Not everyone minds the clackity-clack of heels on hard surfaces or the cacophony of sounds your children make from the second floor, but some do. If you are someone who wants a quieter house, carpet will definitely help. Instead of echoing sounds back at you, it absorbs the sound. This is also why carpet is present in theaters. Safety: Carpet is, quite frankly, safer than other flooring types. A baby learning to walk on tile might result in a little more parental anxiety than a baby learning to walk on soft carpet. This is why many parents opt to put carpet tiles in the nursery until the child is older. Not only that, but since wall to wall carpet doesn’t result in trip hazards, and is overall more soft on the joints, carpet tends to be a safer choice for elderly individuals or those who have motor difficulties. Now, let’s get into some fun facts about carpet because a little history doesn’t hurt. Plus, I’m a nerdy history buff and this is my territory. First, the idea of wall to wall carpet didn’t really take off until the mid 1950s. Manufacturers struggled to find a fiber that was perfect for tufted carpets. Most carpet was made from either wool or cotton. Wool ended up being fairly expensive. Shearing sheep isn’t anyone’s favorite pass time. Cotton was cheap but had little to no durability. However, everything changed when the company DuPont invented BCF (bulked continuous filament) nylon fiber. This is known as the single most important discovery in American carpet history, and as you may have noticed, most carpet is now made of nylon. Today, most carpet mills are located within a 65-mile radius of Dalton, Georgia and produce 85% of carpet in the American market. Dalton, Georgia is known as the birthplace of modern tufted carpet. Personally, I think that’s pretty cool. Carpet continues to be an extremely popular choice in houses and the industry continues using modern technology to create more durable, better carpet options. Okay, now that you know the history, let’s get into the technical aspects of carpet. Put on your lab coat and get ready: we’re getting scientific. When you’re looking to buy carpet, you’ll choose between nylon, polyester, olefin, and wool. Each fiber works best for different environments, and some even have alternative chemical names! Wool is the original version of your favorite movie. It’s the first material carpet was ever made out of. All these synthetic materials were created in the hopes of replicating the luxurious softness of real wool. Wool is the softest carpet you can buy, but it is also the most expensive. *Full disclosure, I am not a sheep expert. As I said before, nylon is what changed the carpet industry for good. If wool is your favorite original movie, nylon is your favorite remake that has all the special effects. Even today, nylon remains the most popular fiber of choice. Nylon is highly durable, static-free, and a great fiber for indoor carpets. Nylon is usually treated with a stain blocking technology that helps it stay beautiful, longer. In case you didn’t know, sheep have natural oils that guard their wool against getting totally waterlogged, or else they’d get super heavy. Heavy sheep are unhappy. Consider Stainmaster the natural sheep oil of the carpet world. It makes the staining liquid stay on the surface of the carpet so you can easily clean it up. Let’s move away from the sheep and talk about Olefin. Olefin is a natural stain-resistant fiber. It’s dyed during the melting process while the fiber is being created. This results in a color through the fiber rather than outside the fiber. Olefin is virtually fade resistant, and it’s also low static. Put on your safety goggles because it also has a scientific chemical name: polypropylene. You might see that listed as the fiber instead of Olefin, so it’s important to know! A downside of olefin, it attracts and absorbs oil, which can leave it dinghy. 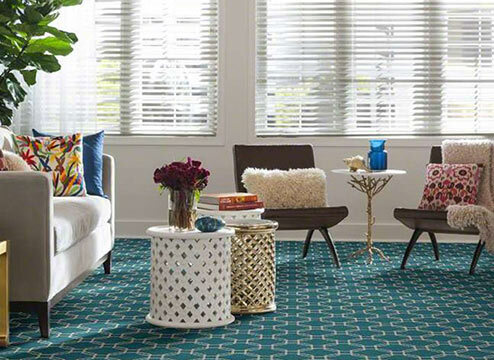 If you’re looking for a “green” carpet, Polyester is mostly made from recycled materials. Polyester is rising in popularity and giving nylon a run for its money. If you haven’t noticed, most of your clothes are probably polyester blends. It’s basically everywhere! Polyester is slightly less expensive than nylon, and almost just as durable. It’s extremely fade and stain resistant. Polyester also usually has the widest range of color choices so your carpet can be anything from bright pink to a neutral brown. The green choice polyester is often called PET fiber, otherwise known as *adjusts goggles* “Polyethylene Terephthalat.” It’s more durable than older polyester materials and is often solution-dyed, meaning the color runs through the fiber. SmartStrand is an example of a polyester fiber. Triexta is a brand new fiber on the market. Triexta’s chemical name is polytrimethylene terephthalate, a name I challenge you to say 3 times fast. Back in the day, Triexta had the abbreviation PTT, but now it is its own class of fiber. These fibers are constructed using corn, or more accurately, glucose. Because of this, Triexta is super green. Triexta is usually less expensive than nylon, and while nylon is treated to be stain resistant, Triexta is naturally so. In fact, Triexta is more stain resistant than nylon because the fibers will not absorb liquid. It is the miracle waterproof sheep of fibers. Carpet density and face weight are two terms everyone mixes up. Now is a good time to clear it up once and for all. Using sheep. Carpet density is how closely together the fibers are tufted into the carpet backing. Think of it as sheep that has no bald spots. You will never be able to shear this sheep. Carpet face weight is the weight of the fiber in one square yard measured in ounces. Carpet that has high numbers in both density and face weight is a highly durable carpet. Another term you might see is turns or twists per inch (TPI). This refers to the amount of times the fiber is twisted in one inch. For example, a carpet that has 5 twists would have a twist number of 5. The higher the twist number, the more durable the carpet. Fibers with high twist numbers are less likely to wear under traffic or be crushed down. A carpet style such as a Frieze usually has a high twist number and is therefore very durable. In sheep terms: The curliest sheep is the toughest sheep to shear. Most nylon carpet is traditionally-dyed. Raw fiber is dipped into a color. The fiber soaks it up and it is dyed on the surface. Natural fiber carpets are also traditionally dyed. Traditional dyeing methods offer the widest color ranges. Unfortunately, a sheep cannot be injected with dye in order for a naturally occurring purple wool to form. Solution-dyed carpets tend to be polyester fiber. When a fiber is solution dyed, it becomes naturally stain resistant. This is because the fiber has fully absorbed all the dye and cannot absorb anymore— like pigments from spilled drinks, for example. When the fiber is being created a dye is injected into the fiber making process. This means that the color penetrates the entire fiber inside and out. Traditional-dyed carpets often have a stain guard applied to them, so they will also have stain-resisting properties, but they’re not naturally stain-resistant. There are three carpet types: cut, loop, and cut and loop. Each carpet type has its strengths and weaknesses. To determine which carpet type is best for you, we’ll look at which room you’re putting it in and what type of traffic that room gets. Cut pile is mostly used in residential style carpets. It’s the most popular style of carpeting because it is the softest pile type around. The tops of the fibers are cut to create plush tufts. Cut pile carpets often show footprints or vacuum trails. Frieze and saxony style carpets are both cut piles. Have you ever pet a sheared sheep? It is like the softest thing you’ll ever touch. Loop pile carpet is also known as berber carpet (though berber refers more to the color than the pile). 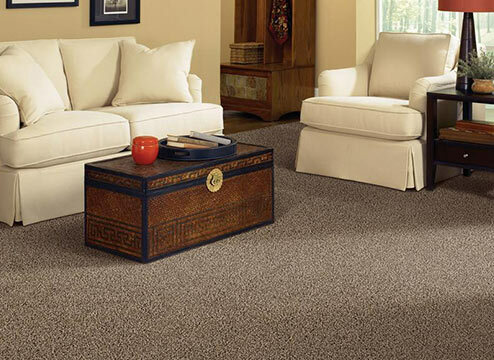 Fibers are looped through the carpet backing making it less soft but more durable. 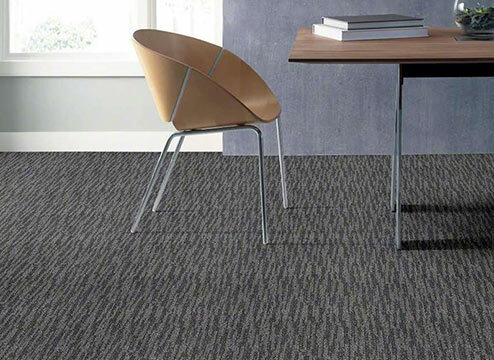 This carpet style is common in commercial spaces because of its superior durability and efficiency at hiding dirt. Loop pile carpet also won’t show footprints or vacuum trails. Cut and loop is a combination of both piles of carpet. Usually cut and loop carpet features patterns and textures created by cutting and looping the fibers in various directions. 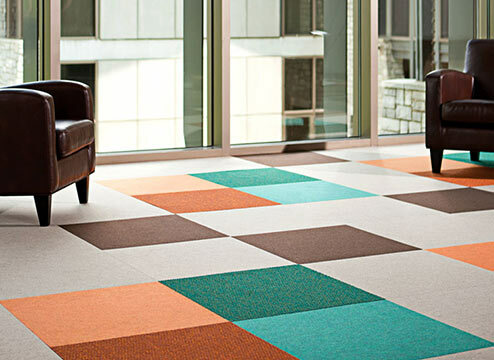 Cut and loop carpet is most popular in commercial spaces but is also trending in homes. Cut and loop is often used to create rugs that add texture and style to a room. Alright, so now you know a lot of information about carpet. It’s a lot to remember, I know, but luckily you can just refer back to this post if you have any questions. There are a lot of things to consider when choosing carpet, and there are so many choices; however, with today’s technology, you’re sure to find a carpet in your budget that’s exactly what you were looking for. Plus, now you have great carpet buying tips under your belt.